This wiki is for ReSpeaker Core v2.0, we recommend you to read the Wiki of ReSpeaker Core v2.0 first. We assume that you have read the Preparetion and set up the WiFi and Serial already. This part is simple and easy, just plug your ReSpeaker Core v2.0 into your computer via the OTG port. 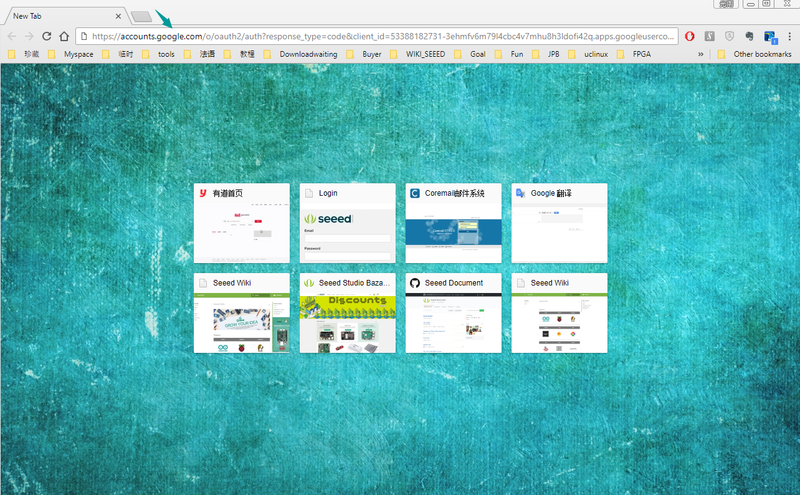 Open the link to add your project. Note!!! 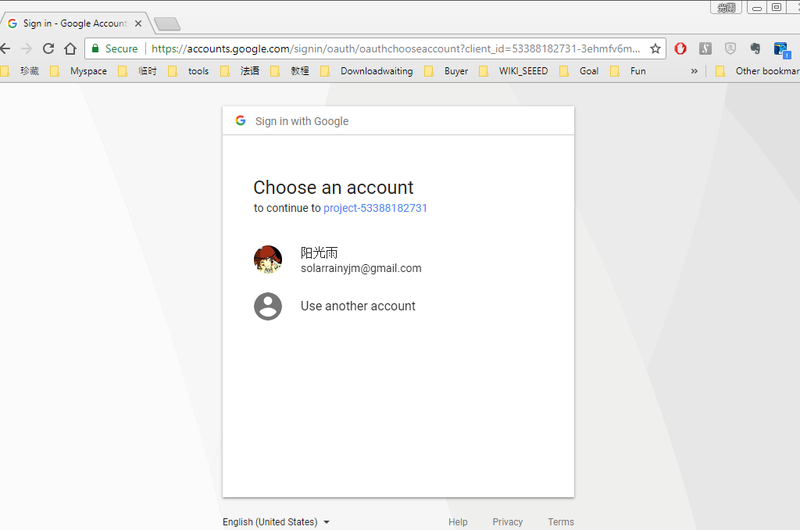 If you do not have a google account, please sign in at google.com at first. Then tap your Project name and pick the Country/region. Then click CREATE PROJECT to continue. 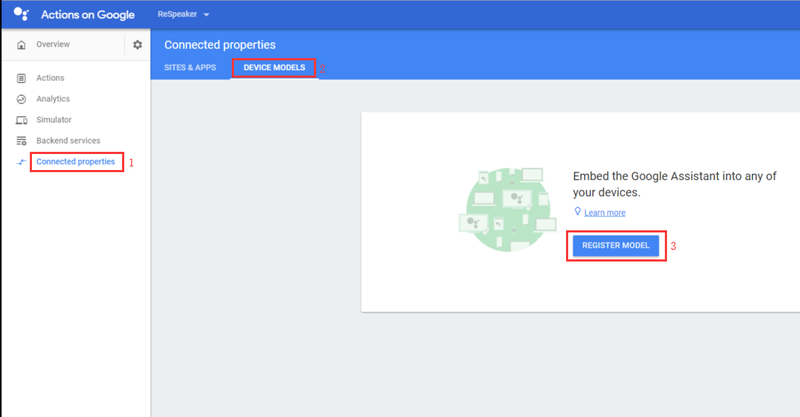 Click Connected properties ->DEVICE MODELS ->REGISTER MODEL as the picture below. Fill in your product info. then click REGISTER MODEL to continue. 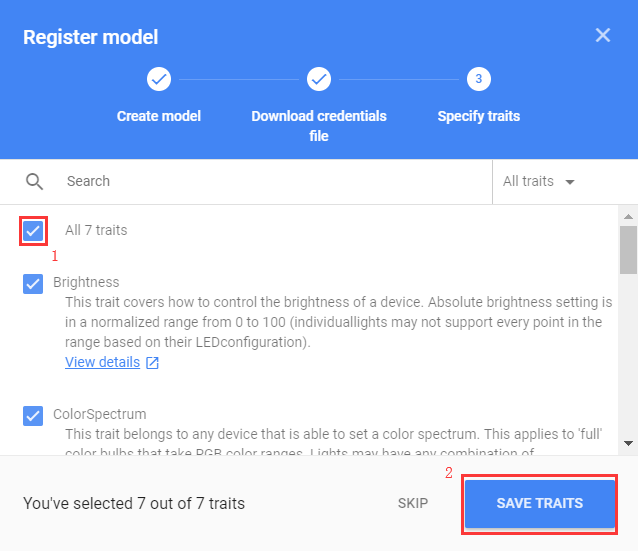 Please make sure you have selected this option ALL 7 traits, so that you can turn on all the permissiions. Then click SAVE TRAITS. 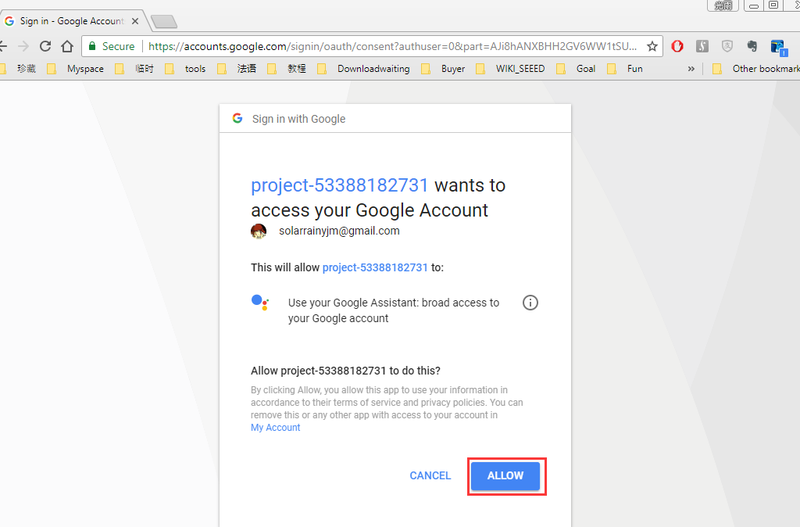 Now please click the Project Name you have just created. For this demo, as you can see, we use ReSpeaker Core v2.0. You will see some info. as the following picture shown. 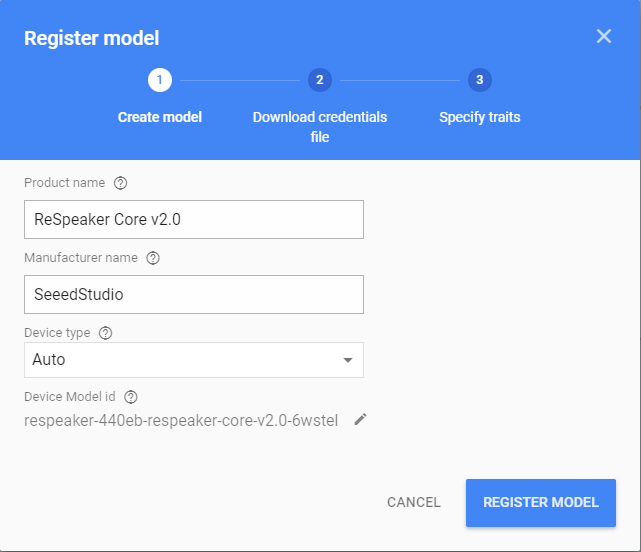 Please mark down the Model Id which is respeaker-xxxx-respeaker-core-v2.0-xxxxx in this demo, it is important and you will use it later. Now let's download the json file. 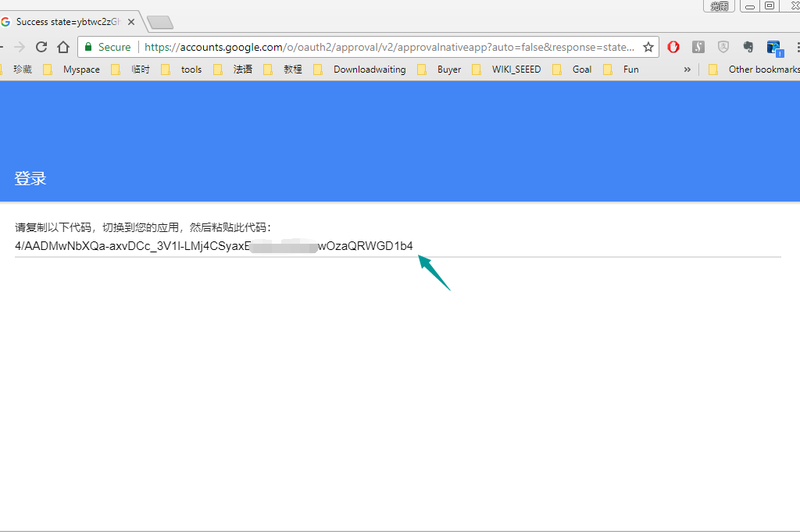 Click the button in the upper right corner, then click Download credentials.json to download the json file into your computer. 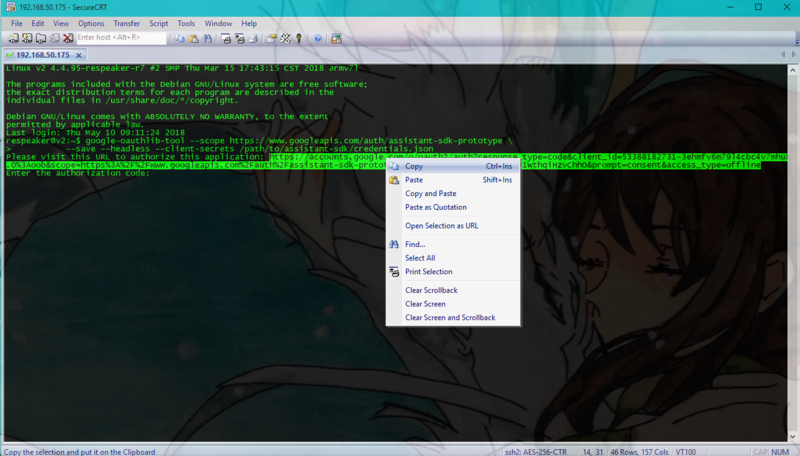 Then use the WinCP or other transmission tools to copy the json file to your ReSpeaker Core v2.0. For example, we copy it to the path /home/respeaker. Next, please click the gear in the upper left conner, click Project settings, remember the Project ID which is `` in this demo. Ok, let's check again, in this section you will get two IDs. 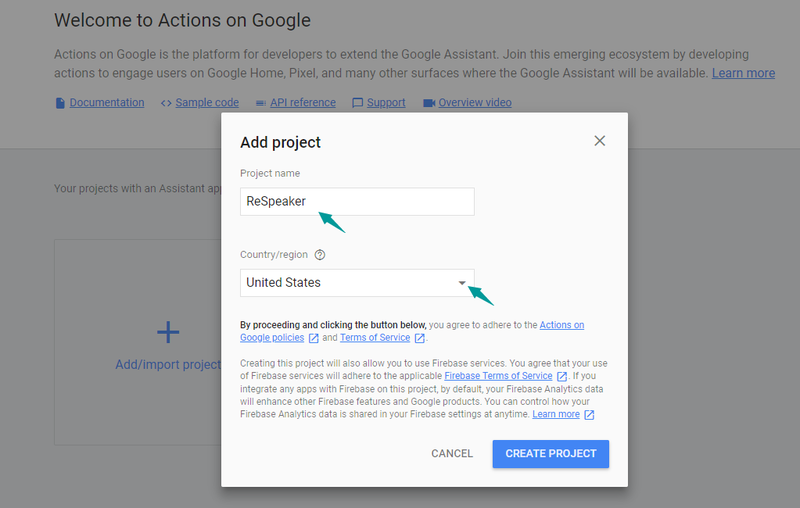 Enable the Google Assistant API on the project you selected (see the Terms of Service). You need to do this in the Cloud Platform Console. Just click Here to enable the Google Assistant API. 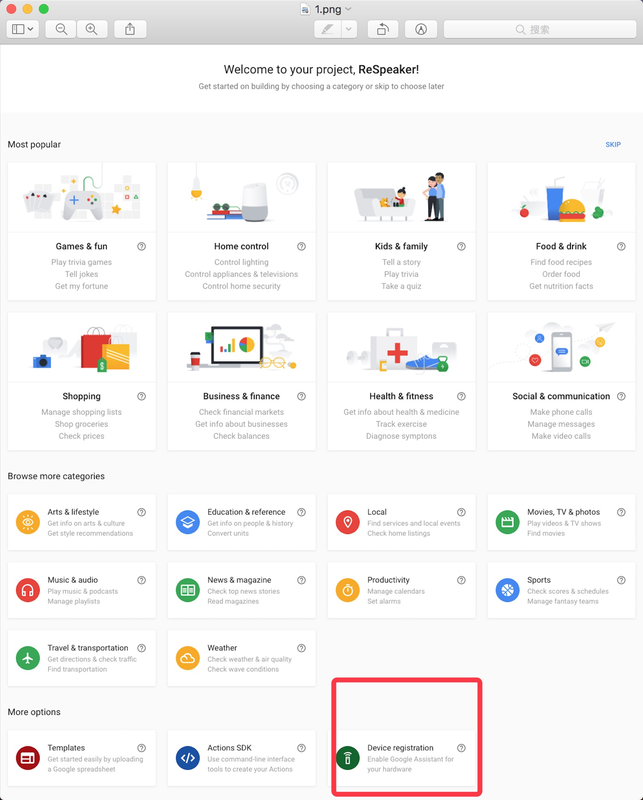 In addition, be sure to select the Include Chrome browsing history and activity from websites and apps that use Google services checkbox. You can refer ro google doc for more detail about this part. You can do this part with python2.7 and python3, in this demo we use python2.7. 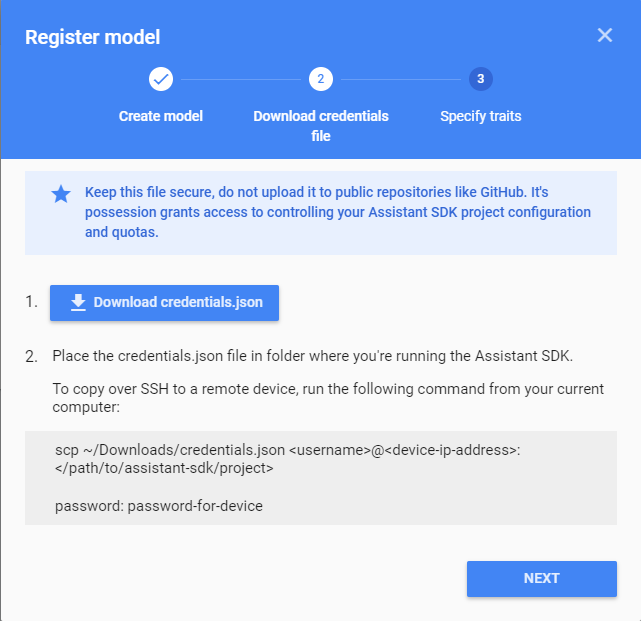 The Google Assistant SDK package contains all the code required to get the Google Assistant running on the device, including the sample code. Use the command below to copy credentials.json to the target location. Tap the command below to get the token generate code. Then you will get the code, please copy the code after the note Please visit this URL to authorize this application:. Paste the code into your Internet browser, then tap the Enter key. Ok, then, you will get the authorize code as the following picture shown. 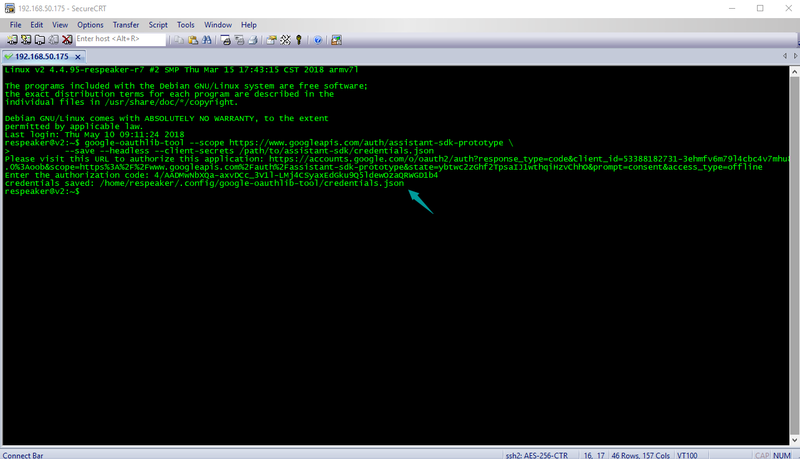 Then you will see the notice credentials saved: /path/to/.config/google-oauthlib-tool/credentials.json. That means everything goes well so far. Remember the two IDs we marked before? Now it's time to use them. 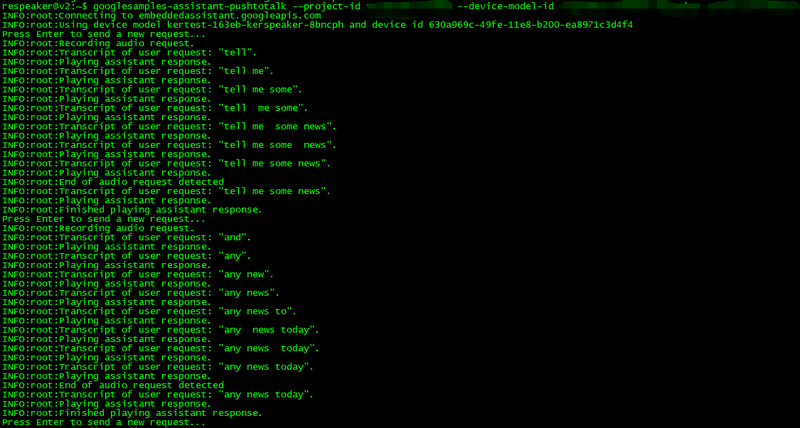 Change the command googlesamples-assistant-respeakerd --project-id my-dev-project --device-model-id my-model with your own IDs. For the command above, change my-dev-project into your project-id and change my-model into your Model ID.